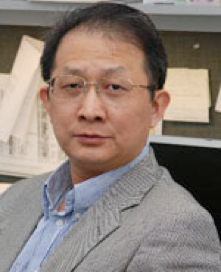 Dr. Gen-Sheng Feng earned his Ph.D. in Molecular Biology from Indiana University Bloomington in 1990. He received postdoctoral training in the area of signal transduction at the Hospital for Sick Children and Mount Sinai Hospital , Toronto , Canada . In 1994, he was appointed as an assistant professor in Biochemistry and Molecular Biology at Indiana University School of Medicine in 1994, and was promoted to associate professor in 1999. Dr. Feng was recruited to Burnham Institute for Medical Research in 2000 as an associate professor and was promoted to professor in 2005. In 2009 Dr. Feng joined UCSD and became a professor in the Section of Molecular Biology. Dr. Feng is currently a member of editorial boards for Molecular and Cellular Biology and Journal of Biological Chemistry. The work accomplished by his group has been published in Science, Nature Medicine, PNAS, JEM, MCB, JBC and other prestigious journals. Their most recent data point to a new direction for development of therapeutic drugs for obesity, type 2 diabetes, and other metabolic diseases. Dr. Feng’s trainees hold tenured and tenure-track positions at many universities in the United States and worldwide.